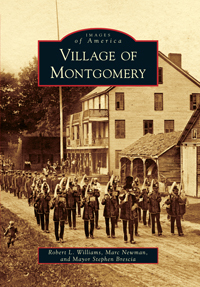 The Village of Montgomery reads the meters and bills for water & sewer usage twice a year. Meters are read in April for a June billing and October for a December billing, and read. If the meter reader is unable to read your meter, he will leave a self-addressed card for you to complete and to mail back to the Village Office with the meter reading that you take from your inside reader. If you have any questions when you receive your bills, notify the Village Office at 845-457-9661 immediately. If the June bill is unpaid it is re-billed on your December bill with a 10% penalty. If your bill is not paid by March 31st of a billing year, it is re-levied on your village taxes in June. There will be a reminder on the Village Channel (Time Warner Cable Channel 23) in December and June. If a village resident did not receive their bill in the mail, please call the Village Office at 845-457-9661. A property owner who has failed to receive his/her water bill in a timely manner is still responsible for the timely payment of water/sewer rents and any late penalty. An owner of real property has an obligation to be aware of the existence of water meter on his premises and take appropriate action to see that the meter bills are rendered and paid. An implied contract arises between the property owner and the municipality for use of water during the period for which he was not billed and the owner is liable for the unpaid water/sewer rents plus any late penalties. The water supply to any premises shall not be turned off or turned on (except in case of emergency) at the curb except by an authorized employee of the Village of Montgomery DPW. When the water is turned off in case of emergency, the Village Office DPW must be notified within twenty-four hours. All water used on any premises or for any purpose is metered. Only meters which have been furnished or approved by the Village of Montgomery shall be installed. Upon the application, a meter will be furnished to each service by the Village of Montgomery at the initial expense of the owner. The meters shall remain the property of the Village of Montgomery. Any damage to a meter sustained by reasons of carelessness by the owner, or his/her tenants of the premises shall be replaced by the Village of Montgomery at the property owners expense. All meters shall be located, placed and kept free from all obstructions so as to allow easy access by the Village of Montgomery Meter Reader. No person shall tamper with the water meter and or valves, fitting and connections. The sewer use charge/rent is based on the metered consumption of water by the sewer user. The sewer rate is determined by dividing the annual sewer operating and maintenance budget by water usage per annum within the village to derive a sewer rate per one thousand. A minimum rate for water/sewer usage of 4000 gallon minimum is established. Any and all water metered above 46,000 gallon minimum will have a water rent of $2.85 per thousand gallons of water used. Any and all water metered over 50,000 gallon minimum will have a water rent of $3.45 per thousand gallons of water used. Any and all water metered above the 46,000 gallon minimum will have sewer rent of $5.04 per thousand gallons of water used. Customers paying sewer rent only will pay $50.00 semiannually. Office a final water reading. Questions Regarding Water, Sewer/Plumbing work, Cross-Connections, Care & Service, Control of Water, etc. call The DPW Superintendent at 845-457-5321 or 845-457-3434.